The trio of rings are formed from two 18ct yellow gold polished Crown rings with a Love Diamonds Dragonfly ring interweaved within the two. 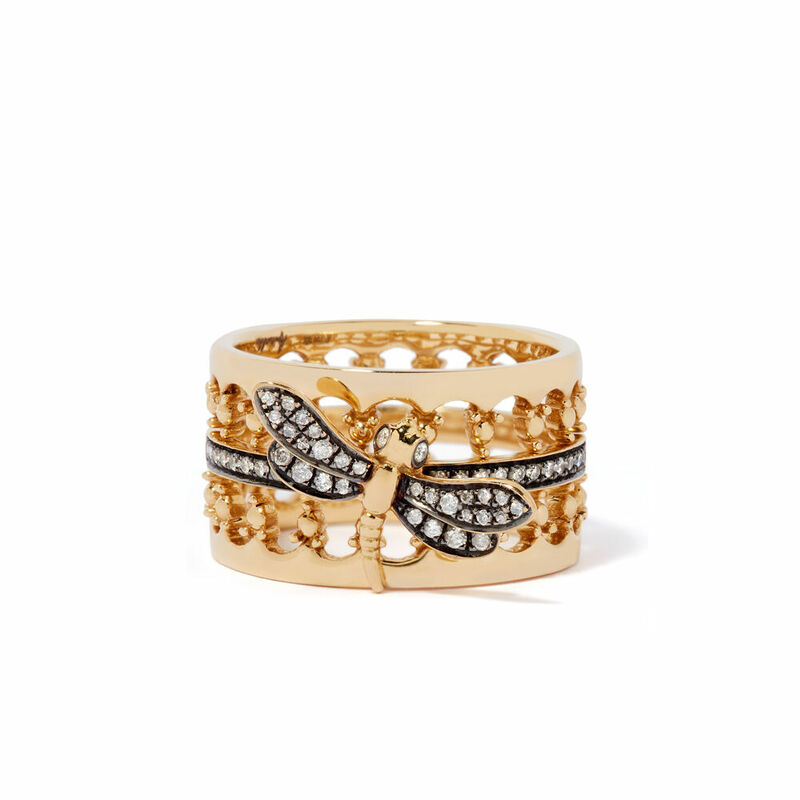 Set with 0.22 ct diamonds, the dragonfly ring is decorated with black rhodium with a textured, detailed tail. The elegant lace edging of the Crown rings were born out of Annoushka's desire to evolve the traditional ring stack into a more treasured form, taking inspiration from Gozitan lace makers on her travels to Malta. 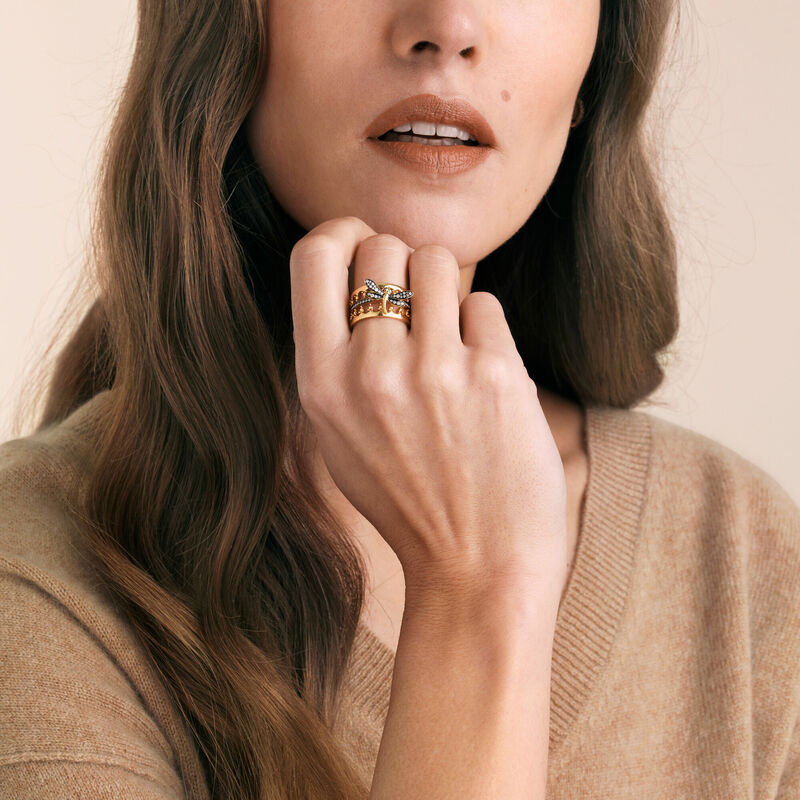 Wear as shown or interlace and stack with other stacking rings from Annoushka's collections.